Berlin Bears / Bärenzwinger - In A Berlin Minute (Week 157) from Luci Westphal on Vimeo. Since 1280 the coat of arms, mascot and symbol for Berlin has been the bear. It is actually not exactly clear where the name of the city or the connection to the animal may have come from. 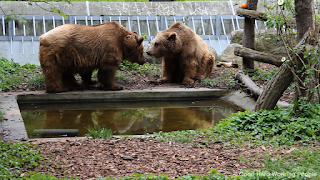 Since 1939 there have been bears living in the Bärenzwinger (bear cage) in the Köllnischer Park in Mitte. 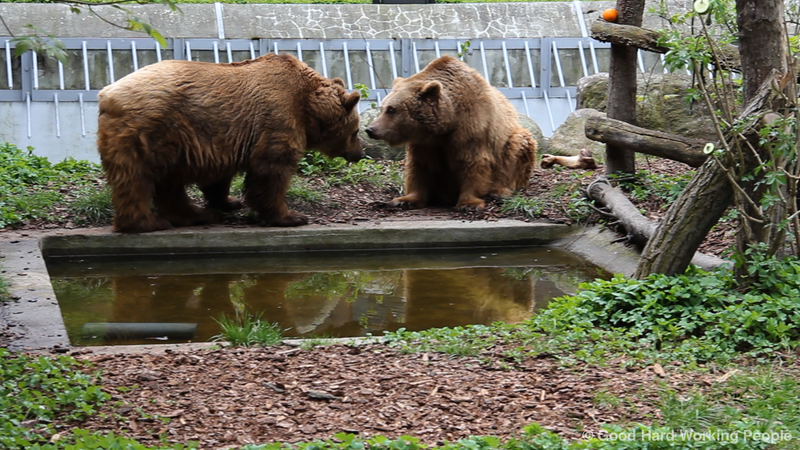 The two brown bears living there today are Schnute and Maxi. There is some controversy about the living conditions of the bears. Activists are trying to get them moved somewhere else. Since May 7th, 2011 I have published a 1-minute video every single week - either from Berlin (where I had moved during that week in 2011) or Brooklyn (where we lived again in 2011/2012) or other places I traveled to. The name changed from German New Yorker in Berlin to In A Berlin Minute and In A Brooklyn Minute and eventually became part of the more general catch-all Moving Postcard. A huge thanks to everyone who has been watching or just started now. You make me keep wanting to film, edit and share these videos. And I'm not done yet. The song is "Clown Face" by Jason Matherne.